In this article you will learn how to translate Genesis Framework into different languages almost automatically. You only need to set up your language and install three very light plugins to have Genesis 100% translated into other languages. One of the many advantages of using Genesis framework for WordPress is that you don’t need to translate the theme. That’s the reason is one of the best options to make a WordPress multilingual website. 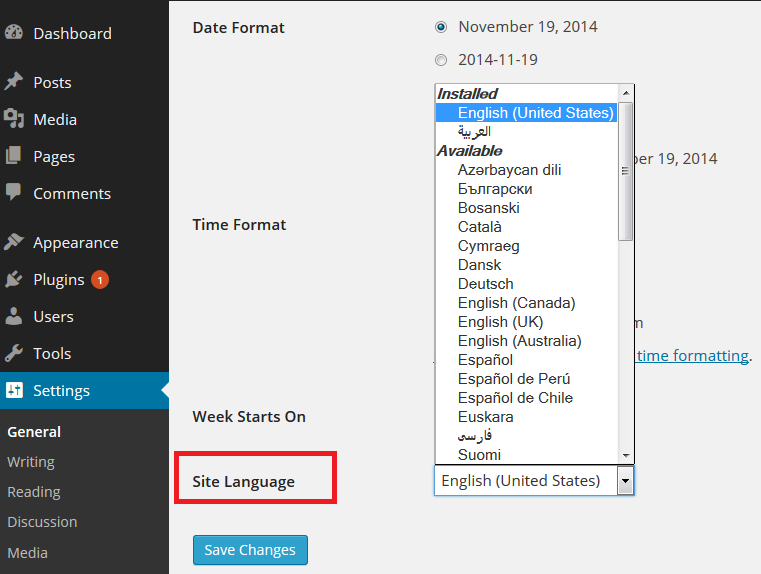 Since WordPress 4.1 you can change the language of your site from the WordPress dashboard. You don’t need to modify WPLANG in wp-config.php file. All you have to do is go to Settings > General > Site Language, and select your language (or install a new language). If you’re using a WordPress Multisite installation you’ll have to set up each website in their local language. This plugin translates the Genesis Framework into nearly 30 languages. No need to upload .mo and .po files. Just install this plugin. All string texts such as “Read more”, “File under”, “by”, “search this website”, etc, are automatically translated. Genesis Framework is compatible with WPML and can accommodate RTL languages (support languages right-to-left). Also, child themes from StudioPress are translated into other languages. Languages currently available: French (France), Italian, Dutch, Danish, Coatian, German, Swedish, Indonesian, Finnish, Bulgarian, Catalan, Hebrew, Portuguese (Brazil), Romanian, Arabic, Polish, Mexican Spanish, Norwegian, Spanish (Spain), Hungarian, Vietnamese, Turkish, Portuguese (Portugal), Japanese, Greek, Chinese (China). If you’d like improve your language you will need to register first here. Genesis has been translated using GlotPress platform. GlotPress is the open-source engine that powers the translation of WordPress (translate.wordpress.org) and related projects (BuddyPress, bbPress, WordPress Default Themes -Twenty Ten, Eleven, Thirteen and Fourteen-, etc). All this texts are also translated into different languages. This plugin hasn’t been updated in over 2 years but works fine. 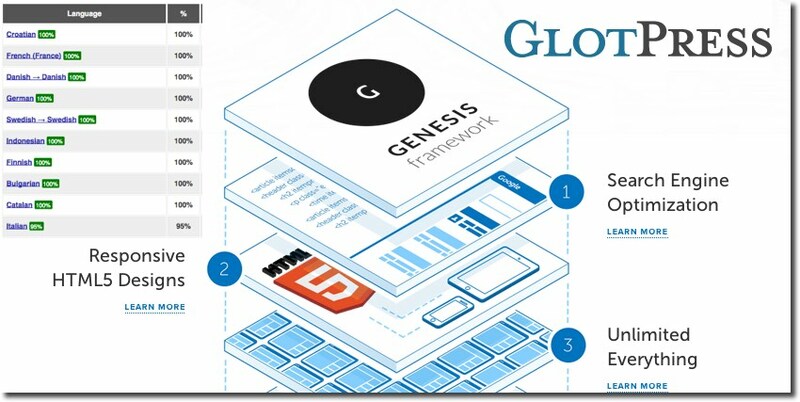 Once you’ve followed these 4 steps, your website with Genesis framework will be 100% translated!! !